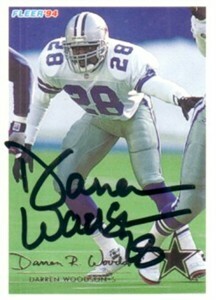 1994 Fleer card autographed by former Dallas Cowboys superstar safety Darren Woodson. ONLY ONE AVAILABLE FOR SALE. With certificate of authenticity from AutographsForSale.com.